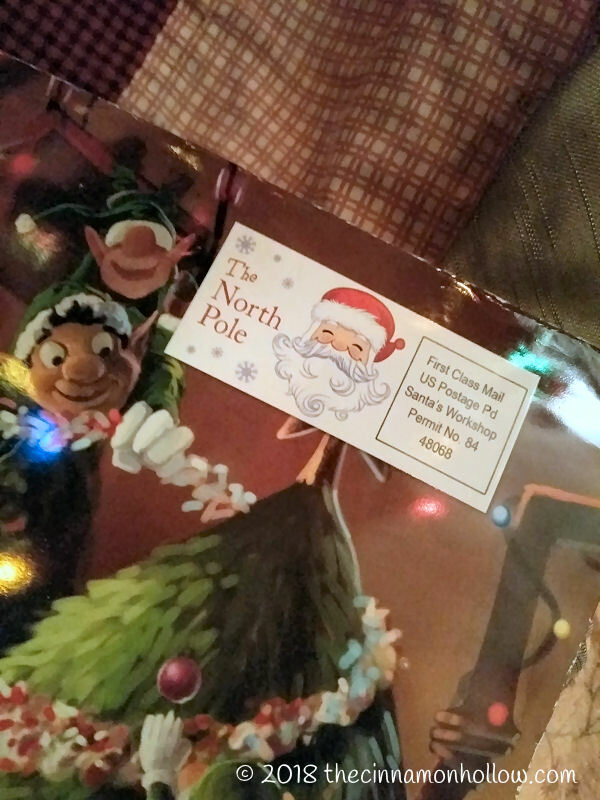 ***Disclaimer: We received a complimentary personalized letter from Santa as a member of the US Family Guide, thanking us for sharing Package From Santa. There is something, unbelievably, magical about receiving a personalized letter from Santa himself! Our youngest daughter is 9 years old and she still loves to receive a letter each year from the big guy. Even our 12 year old loves the fun and magic surrounding personalized Santa letters, videos and calls. Heck, even I love it! There is so much whimsy that the letter, call or video is a true gift itself, paving the way for Holiday spirit. I know it gets me in the spirit for Holiday fun! 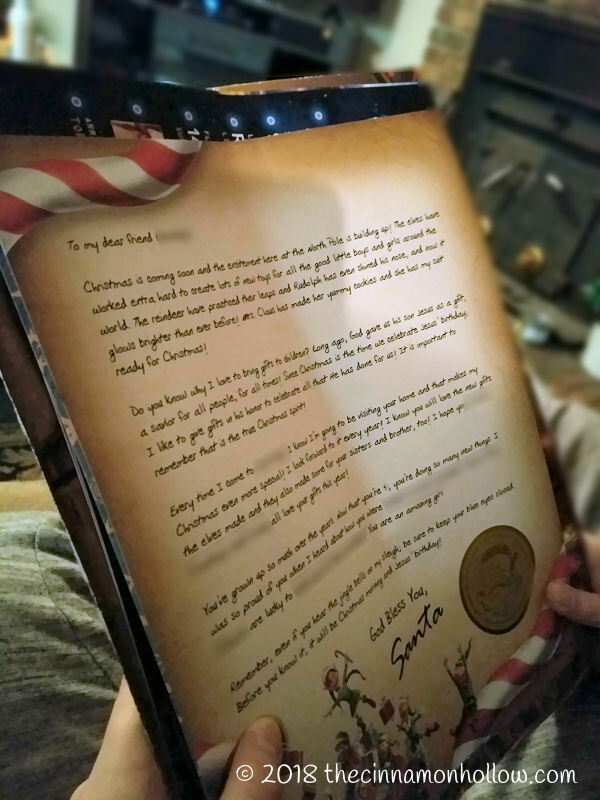 This year, her envelope came filled with goodies including Santa’s flight list, personalized letter from Santa, poster, and Nice List Certificate. It was all packaged in a bright, festive envelope and had an “official” North Pole stamp on it, all addressed to her. 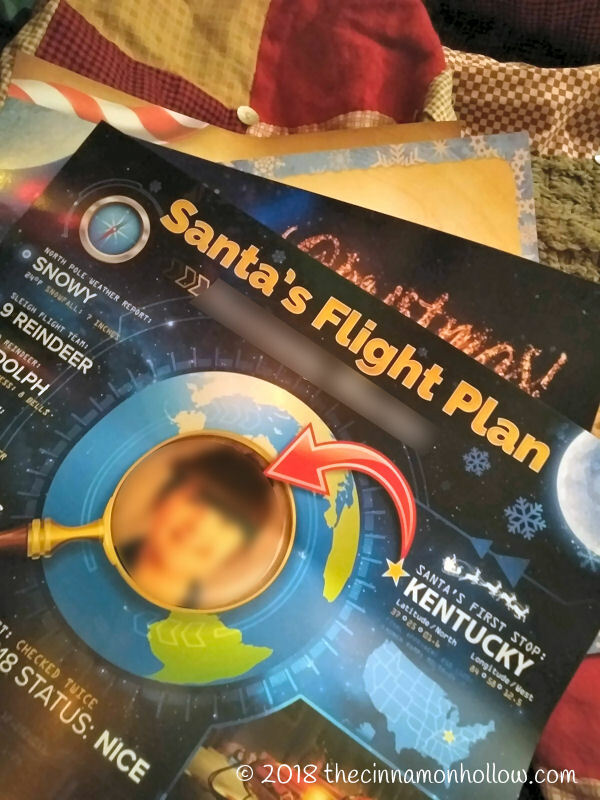 The flight list showed Santa’s first stop as our state, and featured a picture of our daughter. 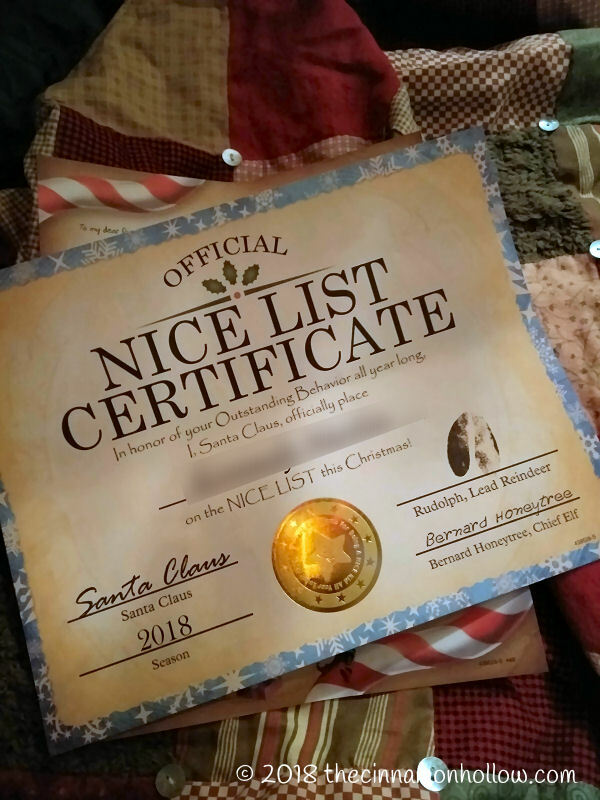 The personalized Nice List Certificate has her name. The personalized letter, customizable during checkout, features her name, accomplishments from the year and her brother and sisters names as well. There are several letters to choose from and I chose a Christian version that mentions the birth of Jesus as being the reason for Santa’s gifts. It is very personal and beautiful! 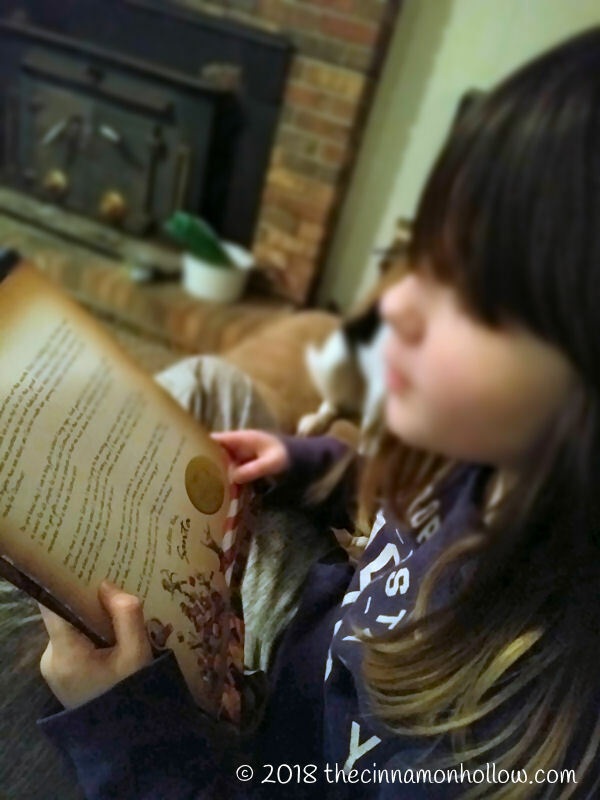 She tore it open as soon as it arrived and read her letter aloud. She was excited and surprised that it had so much detail. Package From Santa really goes all out with their Santa Letters! 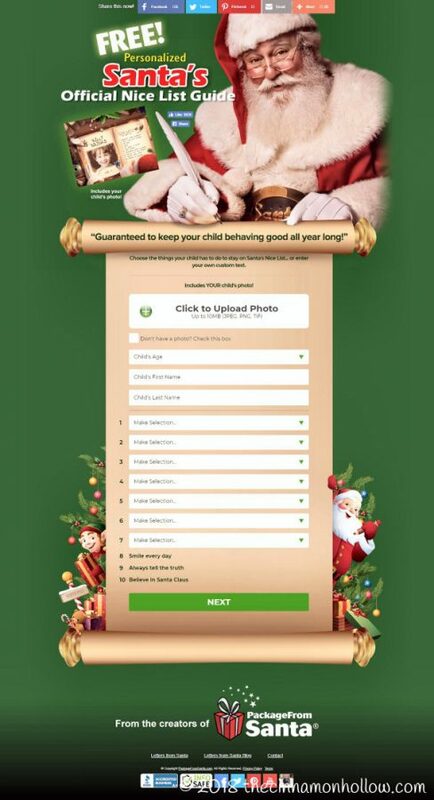 Along with her Package From Santa, she will also receive a free Nice List guide, detailing what how to get on the nice list, a personalized video and phone call. I haven’t set those up, yet. I like to spread the magic throughout December and keep the excitement in the air! and the option to upgrade with MORE goodies! This uniquely personalized gift experience creates Christmas wonder and excitement that your child will never forget! Have you ever ordered a Personalized Santa Letter? 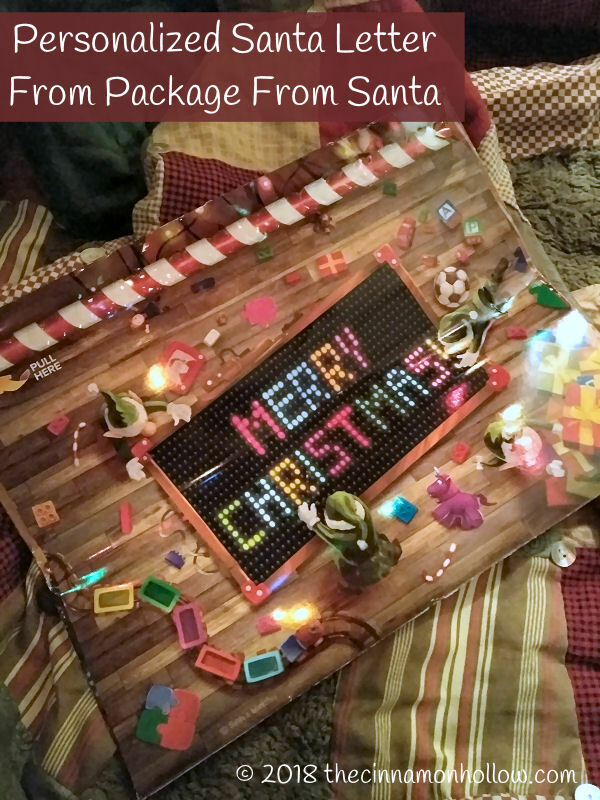 What about through Package From Santa?